your Website and your Facebook site. and those hidden Meta Tags. Always FREE with our Advertisements. our Advertising Service can really help your business. ● It’s our Local Representatives who visit you. ● And, gives you personal attention and extra service. ● And, our professional Editors, Designers, and SEO Experts. ● Plus, our over 30 years of Publishing and Advertising. This website is operated by an Independent representative. 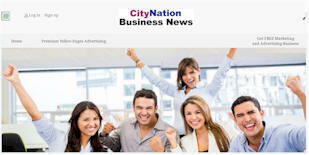 CityNation-Advertising is an equal opportunity employer. All offered Home-Businesses and services are provided without discrimination of any kind.